People-tracking systems are being used increasingly, e.g. for optimizing flows of traffic and people or for analysis of customer behavior. Since these systems can also be used for processing sensitive data and personal profiles, the Swiss Federal Data Protection and Information Commissioner (FDPIC) considers that caution is called for and that closer scrutiny of the data protection conditions is necessary. The FDPIC has published comments on people-tracking, which are available its website. In a recent judgment the Swiss Federal Supreme Court ruled that it is inadmissible for an employer to use spy- ware to monitor employees. Evidence obtained in this way may not be used. The case concerned the commander of a regional civil defense organization in the canton of Ticino. He was suspected of making extensive use of the Internet for private purposes during working hours. The employer therefore secretly monitored the use of the man’s workplace computer for three months using spyware. On the basis of the usage data thus obtained, it was possible to ascertain that the employee was spending a significant proportion of his working time on private matters. This led to his summary dismissal. This action by the employer was deemed by the Federal Court to be inadmissible and the summary dismissal to be unjustified. The court considered that the employer breached employee protection laws by using spyware. These prohibit the use of surveillance and control systems designed to monitor the behavior of employees at the workplace. Surveillance systems may be used for other purposes, but must be configured so that they interfere as little as possible with employees. For example, if room surveillance is necessary for security reasons, the field of view must be set so that, where possible, employees, e.g., working at a checkout or counter, are not recorded. The employer’s action also contravened the requirement for proportionality. Even though it is acknowledged that the employer has a legitimate interest in monitoring work output and preventing the misuse of working time for private activities, the court considers that this can be achieved by less radical means than spyware. One possible method is to block access to certain websites. It is also permissible to log Internet use and to analyze these records with reference to individuals if there are specific reasons to suspect misuse. The Federal Data Protection and Information Commissioner has issued guidelines for this purpose, to which reference was made by the court. The Swiss Federal Supreme Court has ruled that a media provider that allows third parties to set up blogs on its website, is jointly responsible for their contents. The case specifically referred to the Geneva newspaper “Tribune de Genève”, which offers readers the facility to keep personal blogs on its website. One of these blogs be- longed to a Geneva politician who, in his articles, had violated the right of personality of a former director of the Cantonal Bank of Geneva. The person concerned consequently initiated legal action against the author of the blog and also against the newspaper, and demanded the deletion of the relevant article from the blog. The cantonal Court upheld the complaint and ordered the author and the newspaper to remove the blog article and to pay legal costs. The newspaper appealed against this decision to the Federal Court, but without success. The court was not interested in the newspaper’s point that, in certain other countries, operators of websites that allow third parties to set up blogs cannot be held legally responsible for the content of the blog articles. 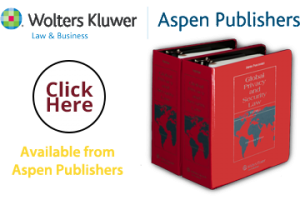 The court referred to the fact that, under Swiss law, anyone who is involved in a violation of personality, and not just the author, may be subject to legal action. The operation of the website by the newspaper was judged by the court as being a relevant factor in the violation of personality. The ruling of the cantonal court was therefore correct, in the opinion of the Federal Court. The newspaper was ordered to remove the offending blog article and to pay the costs of the proceedings. The court indicated in particular that, unlike in damages and compensation cases, there is no assumption of fault on the part of the respondent in applications for removal and injunction. It there- fore remained unclear whether the newspaper could successfully have been sued for compensation or damages, since the plaintiff had not brought any such claims against the newspaper.